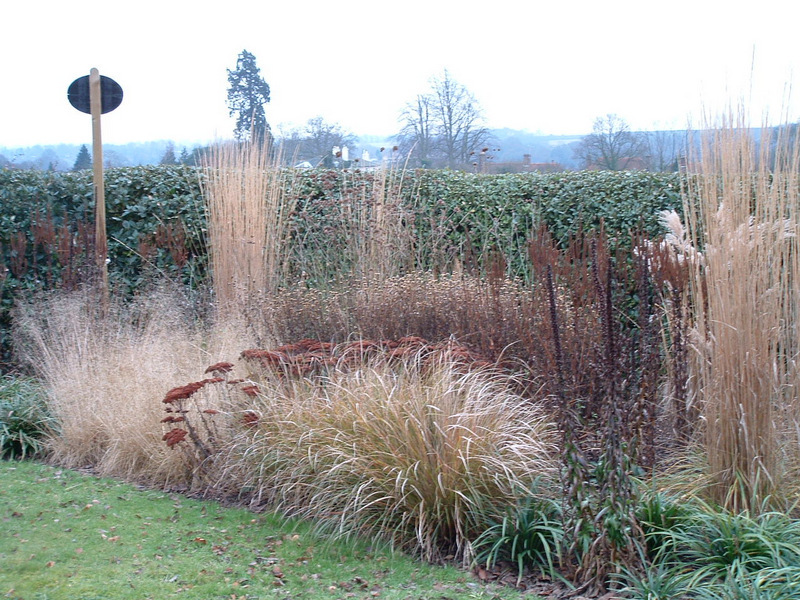 We were asked to improve the front garden by redesigning the borders to create seasonal interest. 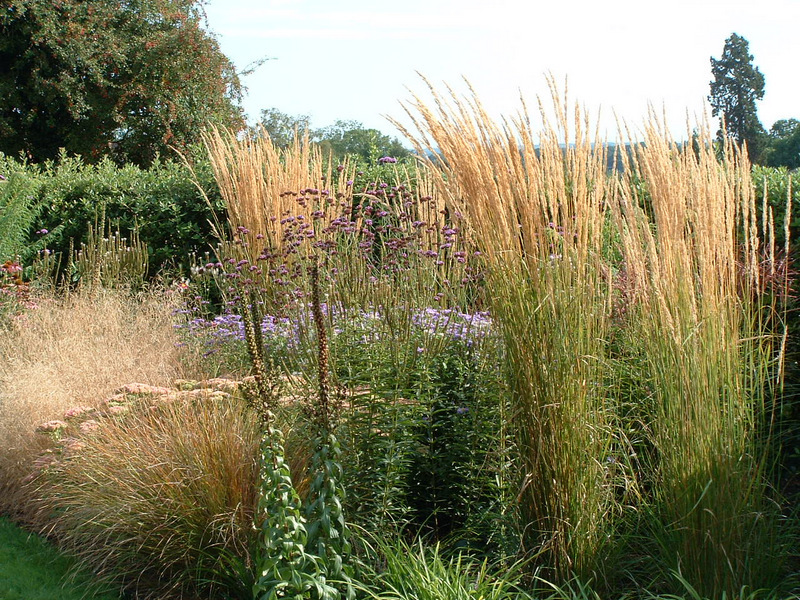 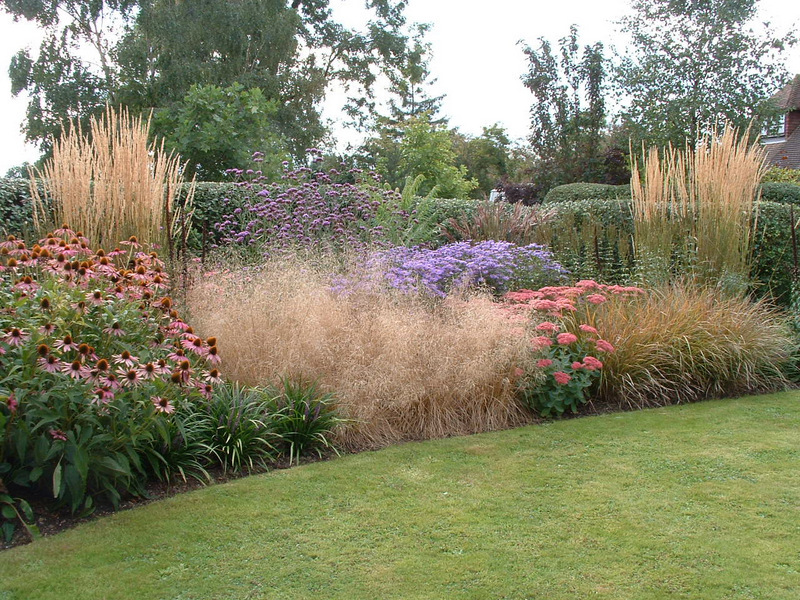 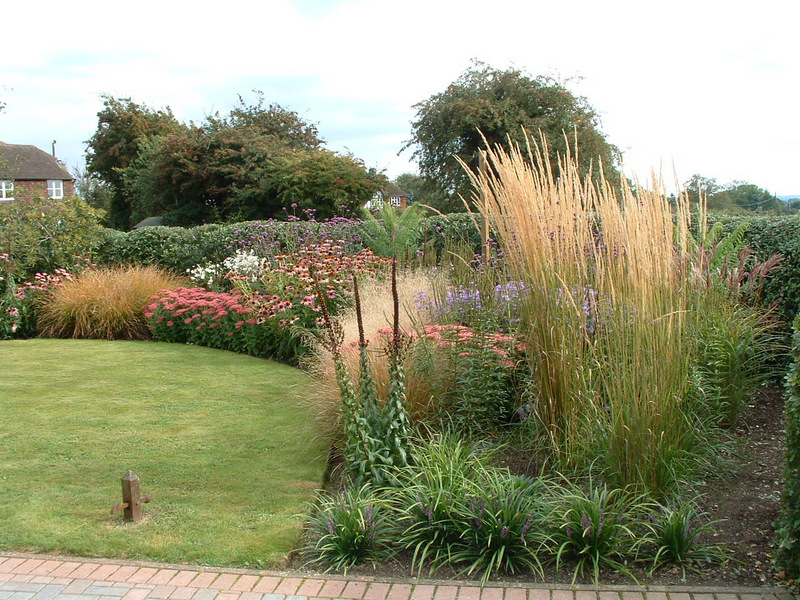 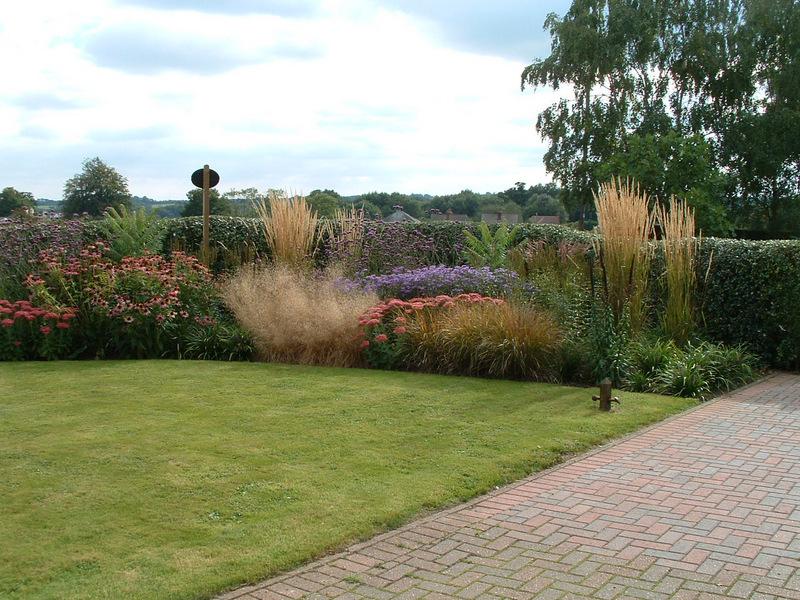 The new planting consists of a mix of perennials and grasses that provide summer colour and autumn and winter silhouette mixed with a few shrubs to add permanent structure. 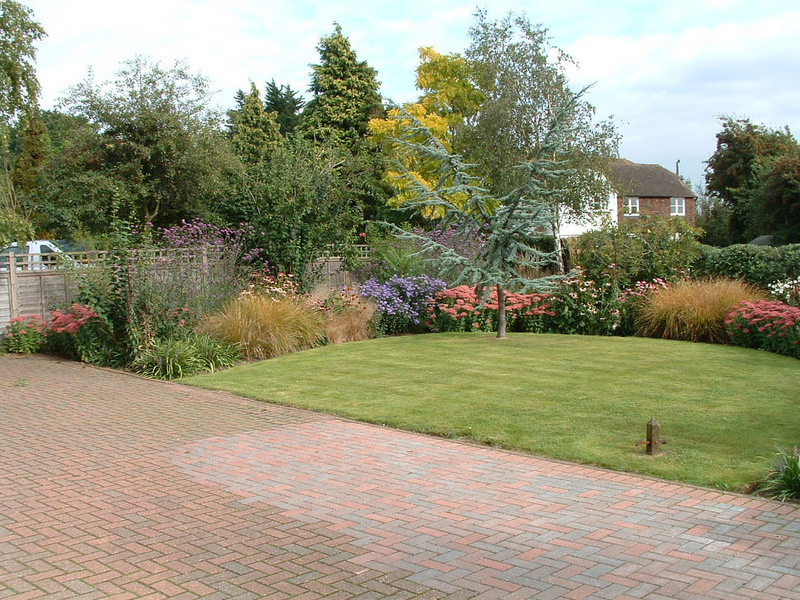 The evergreen Oak hedge provides a dark background for the planting while securing the garden. 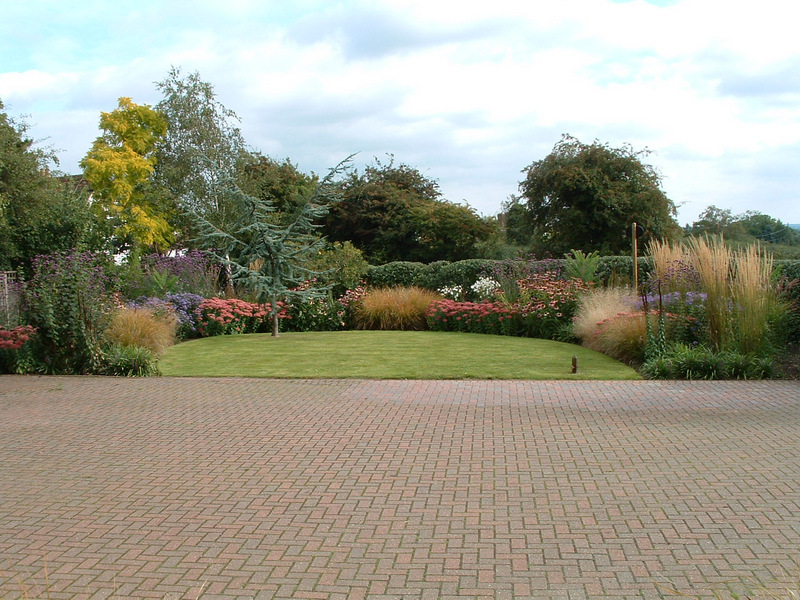 A mix of Alliums and Tulips lights up the garden in spring.